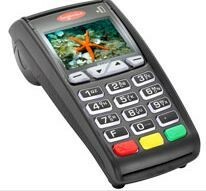 Which US EMV certified terminals can be used with Vantiv today? Merchants have two choices, countertop terminal or multilane terminal. The latter is available only with CenPOS, a merchant centric end to end payment engine. On October 1, 2015, retail merchants that don’t support chip cards will be liable for counterfeit credit card fraud. In May 2015, Vantiv announced, “Ingenico Group Adds Vantiv’s EMV-certified Application to Smart Terminals for Small- and Medium-sized Businesses“. Because every terminal is to individually certified, it’s unclear which terminals have been certified to date since they’re not specified, but the iCT250 is definitely on the list. 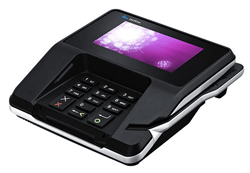 With CenPOS, Vantiv merchants can also use the Verifone MX 915, a multilane, signature capture terminal, and enable EMV immediately. To process transactions, merchants use a virtual terminal with a web browser and high speed internet, or optional integrated solution. Additional multi-lane terminal options will be available in the future, including the Ingenico ISC250. This entry was posted in CenPOS, Equipment-POS, industry news and tagged CenPOS, emv, ingenico, vantiv, verifone by Christine Speedy. Bookmark the permalink.